When you first use the DUCTWORK system on a drawing, you are prompted for the final plotted scale. This is required so that duct size labels, text, and other symbols can be inserted at an appropriate size. 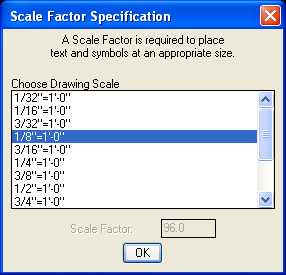 The scale factor is permanently stored in the drawing file. 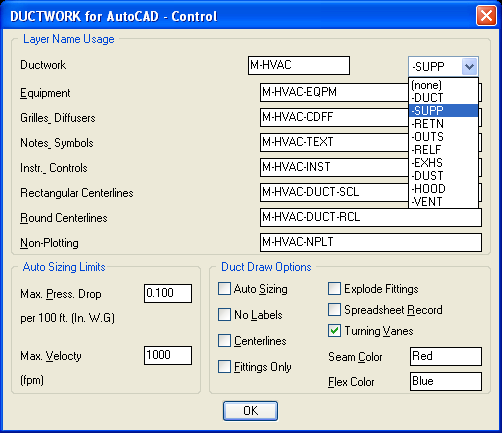 Next, the DUCTWORK Control Dialog Box allows you to specify layers to be used by the system. You can use this to draw supply ductwork on different layers from return ductwork, etc. As you draw ductwork, you never have to concern yourself with what your 'current' layer is, ductwork and all other items are automatically placed on the correct layer. Now you're ready to begin drawing ductwork. Place a new Duct Cursor where you want the duct to start. 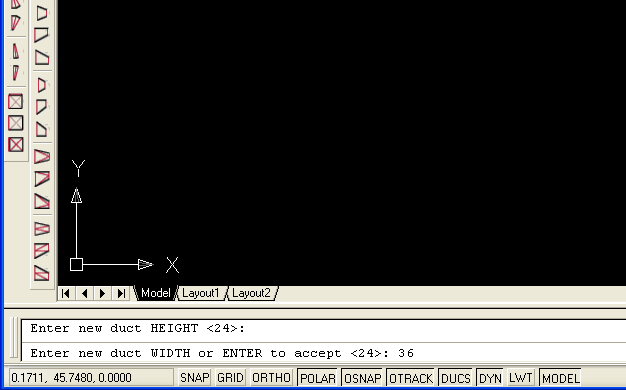 The program prompts you for duct size and starting directions. Type 'NDC' to place a New Duct Cursor. 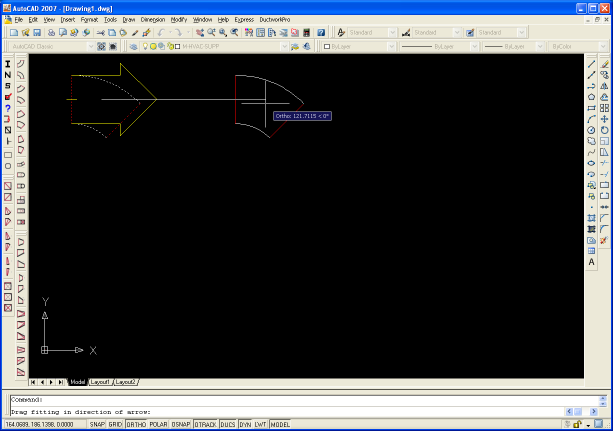 The fitting is re-draw in its final position, and the Duct Cursor is advanced to the outlet of the new fitting. until the entire duct system is drawn.